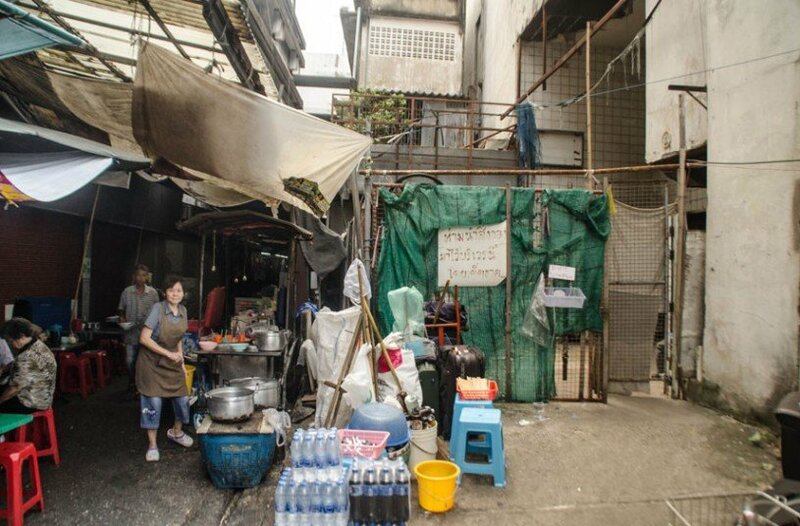 Down a nondescript soi in old town Bangkok lies a relatively unknown hidden gem. Without a good knowledge of Bangkok geography, one would be hard pressed to believe anything interesting lies behind this gate. New World shopping mall, a four storey former shopping mall. Originally constructed as an eleven storey building. It was found to be in breach of old town Bangkok’s four storey limit on building heights. The top seven floors were demolished to adhere to building codes in 1997. In 1999 the mall burned due to suspected arson committed by a competitor in the area. The disaster resulted in several casualties, and the building has remained abandoned ever since. Not having a roof, the basement floor remains under several feet of water year round. 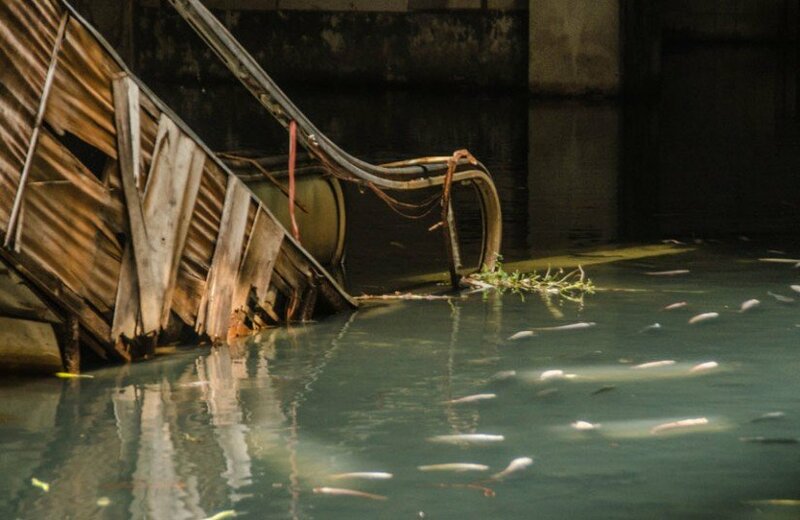 At some point in the early 2000′s an unknown person began introducing a small population of exotic koi and catfish species. The small population of fish began to thrive and the result is now a self-sustained, and amazingly populated urban aquarium. I will not tell exactly where it is, as locals somewhat discourage people visiting it. In fact we had to wait for a policeman who was parked on his motorcycle in front of the gate to leave before we timidly entered. 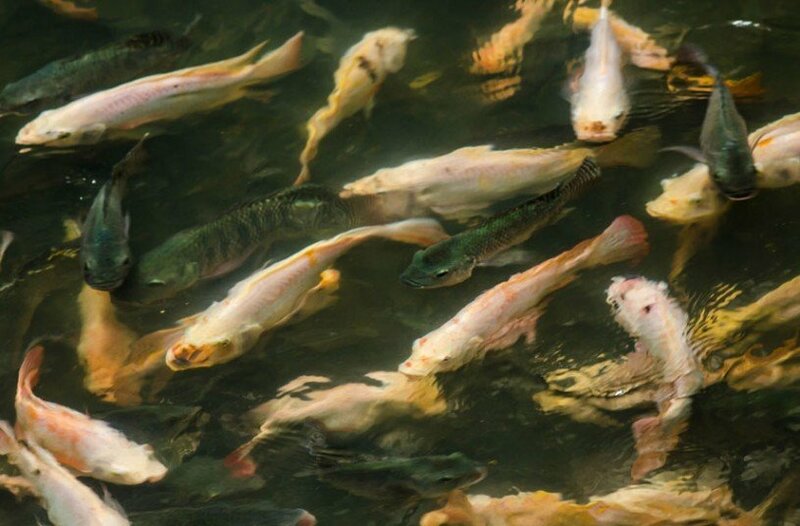 Below are a few pictures to give you an idea of the absolutely staggering amount of fish. Koi and catfish have made the flooded basement their home. 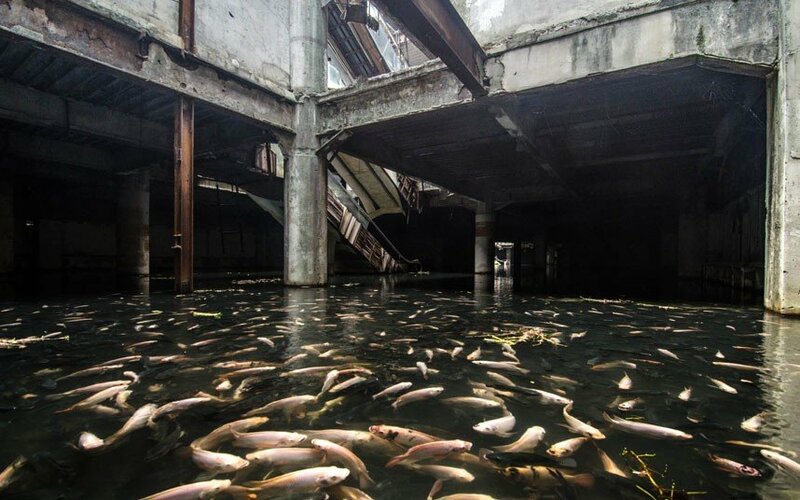 Jesse says he witnessed an “absolutely staggering amount of fish” living in what was the New World shopping mall in Bangkok. 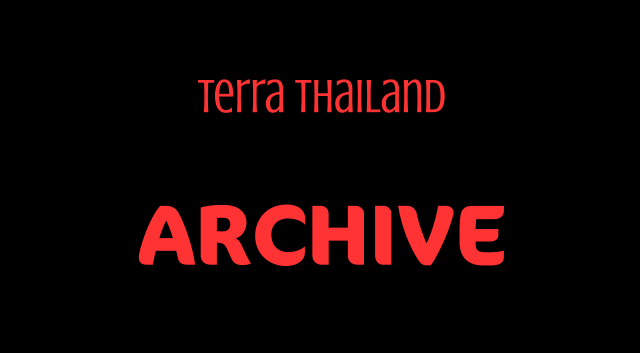 July 1,2014 update: This movie was shot just days prior to the Bangkok Metropolitan Administration’s (BMA) decision to seal off this area completely and investigate it further. So with that, this is probably some of the LAST video footage of this wonderfully bizarre place.